When: Every Wednesday from February 6th till April 10th (10 sessions). Open doors at 18:00hs, class from 18:30-20:30hs. 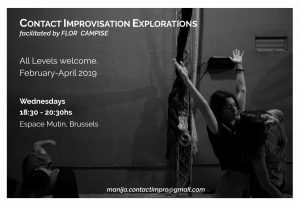 During these encounters, we will develop techniques and tools for improvising in contact. 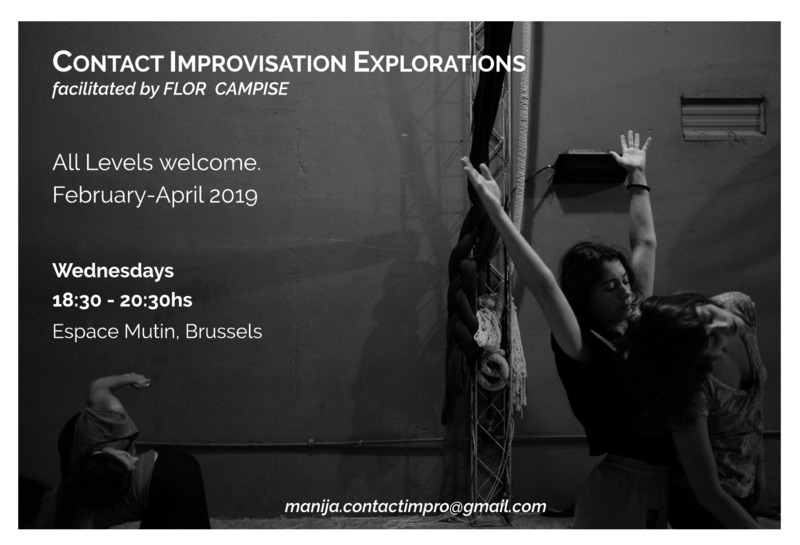 We will be building and exploring a common language and corporeal and space awareness from which to move and be moved safely –understanding that with the practice our notions of when and how do we feel safe in movement will be changed ;). We will work on techniques that allow us to increase our potential ways of moving, multiplying our possibilities of movement. Moving and being moved by the environment and by stimuli, by the other and with the others, in duo and in the whole group, by and within the space.